OK, this is going to sound a little facile, but the Razer Thresher Ultimate is pretty much the ultimate wireless gaming headset. With a great mix of serious audio quality, surprisingly understated style, and impressive wireless capability there are few other gaming headphones that come close. 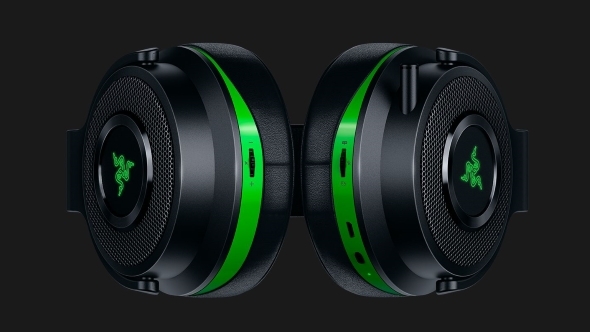 The $217 (£212) Razer Thresher Ultimate cans are available in either Playstation or Xbox trim, but as both work happily with the PC via the base station, it just becomes a choice of whether you want them in classic Razer green trim or the blue. Personally, I like the blue. But given that the colouring is only used in a thin band around the ear cups, and for the small Razer logo itself, it’s hardly obtrusive. I’m really taken by the more serious, almost studio headphones-like style of the Thresher. I wasn’t massively taken by the headband at first, but having used the set for a while now they’re mighty comfortable, only pressing in a little around the bottom of the earcups. But they still feel incredibly light on the brain, even after a long session. 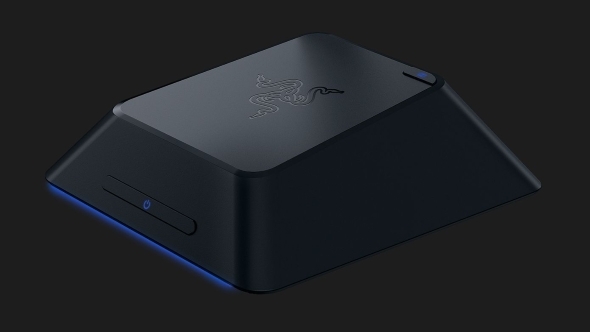 Razer has also added Dolby Surround into the mix, accessible via a discrete button on the base station. That base station sits on your desktop and also offers optical I/O as well as a standard USB connection. The charging cable also extends from the subtle black box, but as the headset delivers a decent 16 hours of wireless battery – which bore up during our testing – you’re not going to have to plug in too often. My only real bugbear with this setup, however, is there seems to be no easy way to tell how much capacity is left in your battery – having some sort of visual level indicator would be nice. The wireless connection, however, is strong and stable and the audio excellent, so they definitely get a win from us. I did occasionally get confused with the on-ear controls – there are both volume and mic-level wheels on either ear-cup and I could never remember which was which without fiddling first. Speaking of the mic, it’s as unobtrusive as it could be without being entirely removable. Which can also mean ‘losable’. Having it disappear into the left-hand ear-cup is incredibly useful. The Thresher’s passive sound isolation may not be up there with the likes of Sennheiser’s stunningly isolating GSP 600, but when I’ve had a game running, or music playing, the background noise of the clacking mechanical keyboards of our office get quickly drowned out. Which is great because we’re all about audio quality here in PCGamesN’s hardware corner. And in sheer aural terms there isn’t another wireless headset capable of matching the quality of the Thresher Ultimate. We haven’t used a cable-free set of headphones that deliver anything near the 12Hz – 28,000Hz frequency range of these impressive cans. They may not quite deliver the same level of tonal separation as the stunning HyperX Cloud Alpha, or the same super-broad soundscape, but they still deliver incredible crisp, detailed sound. 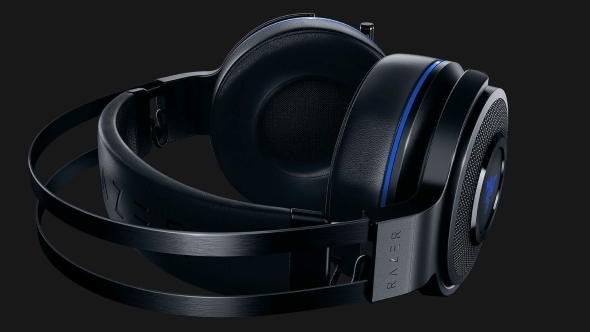 And, given that it’s a Razer gaming headset, we had initially thought there might be some heavy emphasis put on the bass performance of the Thresher. Y’know, big brain-rattling booms for the ‘splodes and all that. But the bass response is nicely levelled, isn’t overblown, and doesn’t crush the highs or mid-tones. 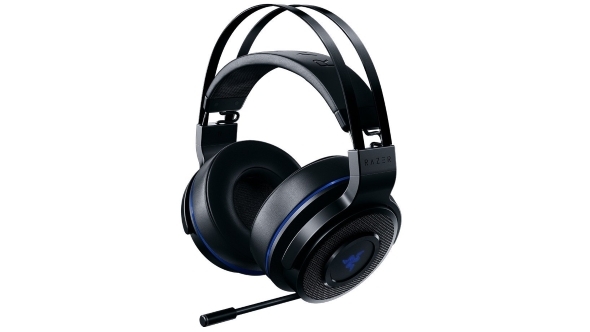 There’s no getting around the fact that they are expensive, but all wireless gaming audio is. And considering the unprecedented cable-free audio quality on offer they’re not bad value. The Razer Thresher Ultimate then is one of our absolute favourite wireless gaming headsets, and if you can’t stand the wires they’re the way to go. One of the best wireless gaming headsets around, with genuinely impressive audio chops to back up the Thresher Ultimate's subtle ease-of-use.